Naim Supernait 2 review | What Hi-Fi? We were never great fans of Naim’s original Supernait. While the idea of a beefy Naim integrated amplifier with a built-in digital-to-analogue converter sounds tempting, our sample of the original never fully convinced. It sounded lazier and less dynamic than we wanted. On paper, the biggest difference between the original and this updated version is the deletion of the digital-to-analogue circuitry. The company argues that it now makes stand-alone converters and music streamers with DACs, negating the need for them in its integrated amplifiers. Of course, Naim being Naim means there are also a host of smaller engineering changes to the Supernait. Its power supply has been optimised to get the most from the analogue circuits, and now uses a larger mains transformer to give it greater headroom. There’s also been a general upgrading and rearranging of internal components, including the addition of a purer feed to the preamplifier section. As is the company’s way, a great deal of attention has been paid to isolating the audio circuits from external vibrations. The most extreme example of this is the ‘wobbly’ mains socket. It feels a little odd, but don’t worry – it doesn’t fall out. Things sound a little crude and lacking in transparency straight out of the box, but given the best part of a week to run, such traits vanish leaving the Supernait 2 sounding impressively capable. On paper its 80W-per-channel power output doesn’t sound anything special for the money, even if it goes up to 135W into eight ohms. But in use, through a range of speakers including ATC’s SCM 50s, Monitor Audio’s PL300s and KEF LS50s, there wasn’t a moment when we thought it needed greater loudness, dynamics or punch. This is a supremely stable, confident-sounding amplifier regardless of the music it’s asked to replay. Alt J’s An Awesome Wave shows this Naim amp to be something special. The Supernait 2 captures the interplay between instruments brilliantly, and delivers rhythms in a wonderfully surefooted manner. Not only that, it conveys variations of pace beautifully, giving an unusually stark insight into the ebb and flow of the music. There’s a lovely sense of solidity to the sound, and much of it stems from the amp’s terrifically taut and powerful low frequencies. Bass is not only punchy but articulate and subtle too, conveying the texture of low notes really well. It’s certainly a drier, more precise low-frequency performance than we heard from the original version. Move onto Adele’s 21 and the Naim continues the great work by delivering Rolling In The Deep with real passion. There’s plenty of insight here and ability to render vocal nuances with precision. Along with delicacy, this integrated amp delivers strong dynamics, conveying contrasts with authority. Despite all the power and bombast there’s strong sense of finesse, and a lightness of touch we doubt previous generations of Naim amps would have managed. The same qualities are present for Tchaikovsky’s Swan Lake and Orff’s Carmina Burana. The ‘2’ really is a well-rounded amplifier. 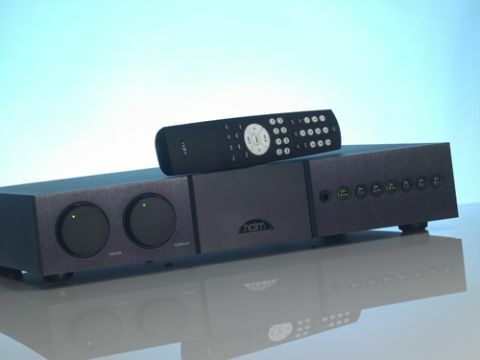 It’s decently equipped too, with a good provision of inputs in both standard RCA and Naim’s preferred Din-socket form. There’s also a ready-made upgrade path in the form of Naim’s range of outboard power supplies. These start from the Flatcap XS (£775), through to the Hicap (£1200) up to the Supercap (£3800), though we suspect it would make more sense to upgrade the Supernait 2 entirely than buy the latter. Even without any of the add-on power supplies this Naim is a complete amplifier. It can rock hard, but also soothe when the music demands. Build quality is reassuringly solid as well, and it has a well-judged feature count. Add to those virtues Naim’s ability to look after its products for decades on end and, even at this price, we have to conclude that this is a fantastic buy.